A world class bespoke tailoring course for students looking to learn the craft of traditional bespoke tailoring. If you are considering a career as a bespoke tailor, our bespoke tailoring course is the best place to start. Unlike a university course, we only accept a maximum of four students per year. This ethos ensures that all our students receive a massive amount of one on one time from our bespoke tailor Desmond Merrion. 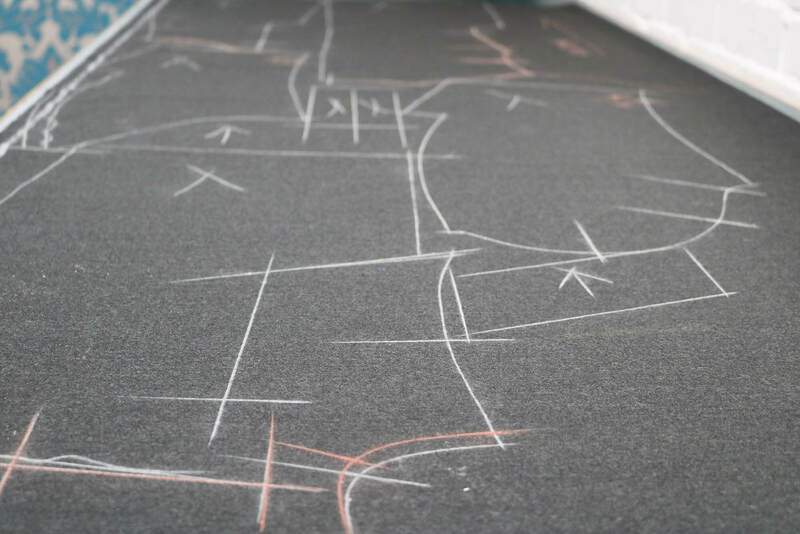 The bespoke tailoring course is also delivered in our actual bespoke tailoring workroom, by Desmond Merrion. 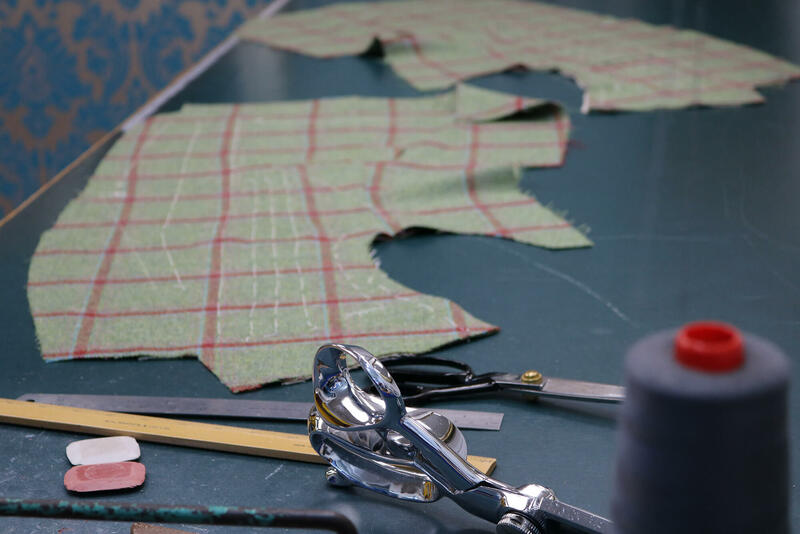 Here is where you’ll be learning and studying full-time and gain an invaluable and highly technical insight into the world of high class bespoke tailoring. 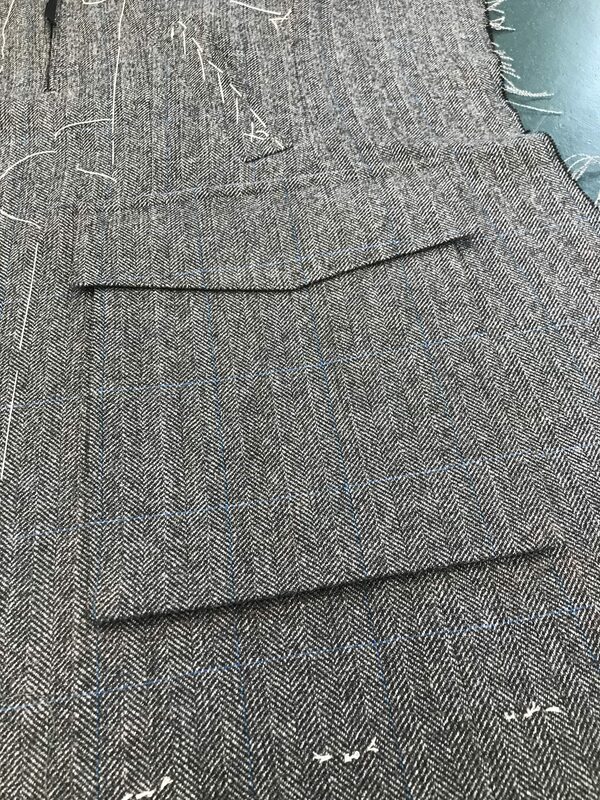 You can read books or search the web, but without a mentor teaching you step by step methods you will never be able to truly master the art of bespoke tailoring. Students will be taught traditional bespoke tailoring methods that are utilised in many high end tailoring houses throughout the world. 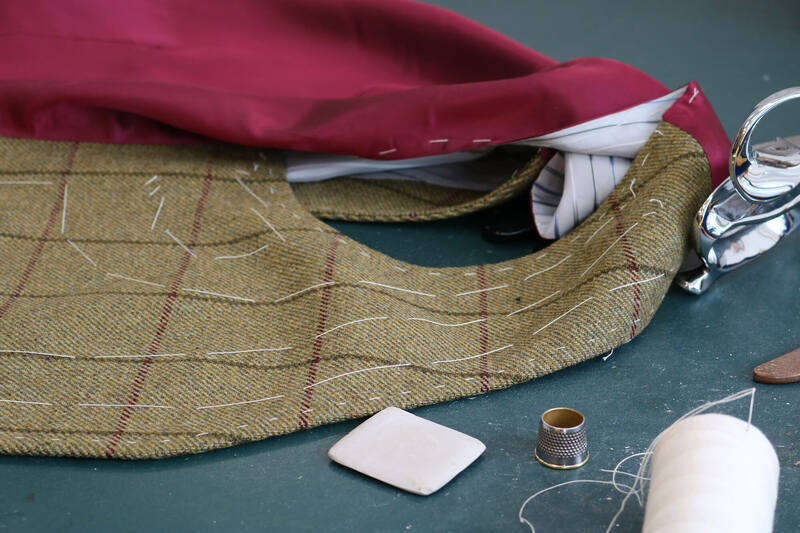 Our bespoke tailoring course specifically covers men’s trousers, waistcoats and coats. Previous course attendees have gone on to gain full time employment in well respected Savile Row tailoring houses. 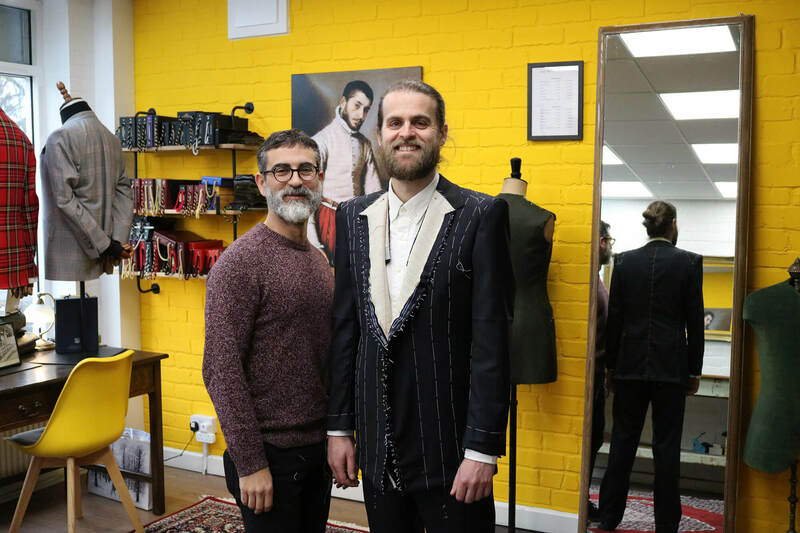 Other students have established their own successful bespoke tailoring businesses throughout the world, including Sweden, Canada Spain and South Africa. ENGLISH LANGUAGE REQUIREMENTS All classes are conducted in English. If English is not your first language you will be asked to provide evidence of your English language ability when you enrol. ACADEMIC REQUIREMENTS Suitable for absolute beginners. Please book as early as possible. 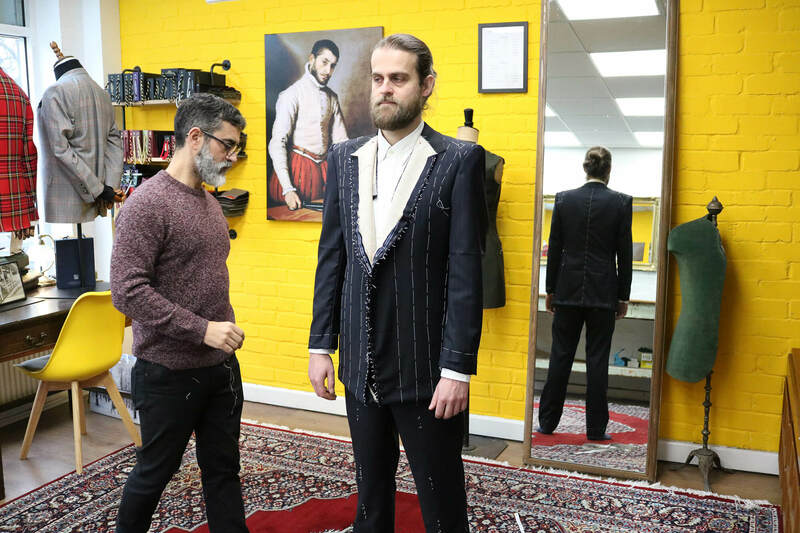 Offering the highest level of training in men’s bespoke tailoring to students wanting to acquire the requisite skills to become bespoke tailors, gain employment within the bespoke tailoring sector, or establish their own tailoring house. 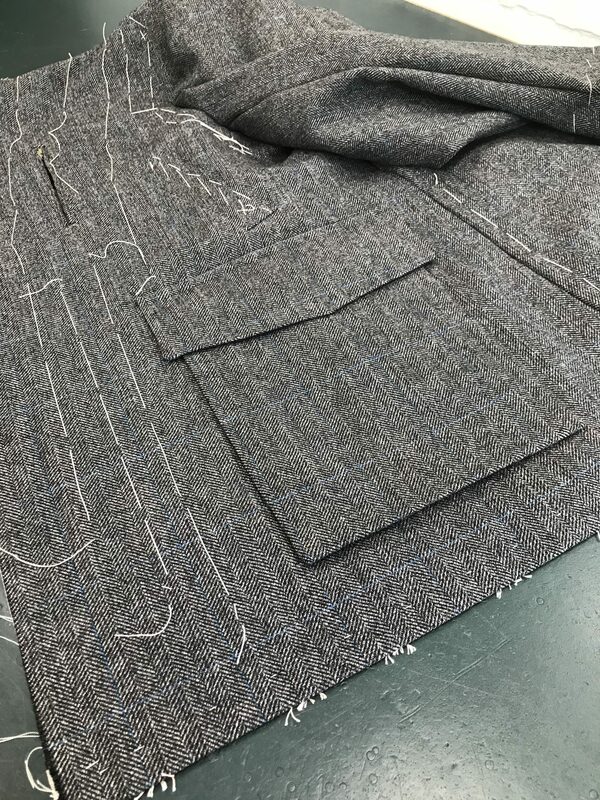 Desmond Merrion’s bespoke tailoring course is focused on traditional hand tailoring methods employed to construct medium-structured bespoke coats. COURSE START DATES. The academic year for this course is divided into Section 1, Section 2 and Section 3. 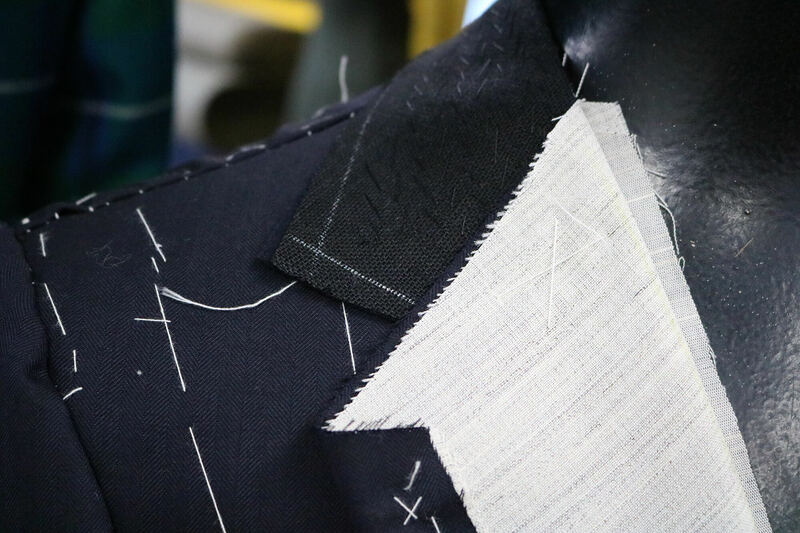 TAILORING TECHNIQUES will introduce you to the essential technical skills required for the development and production of garments within the specialised area of bespoke tailoring. 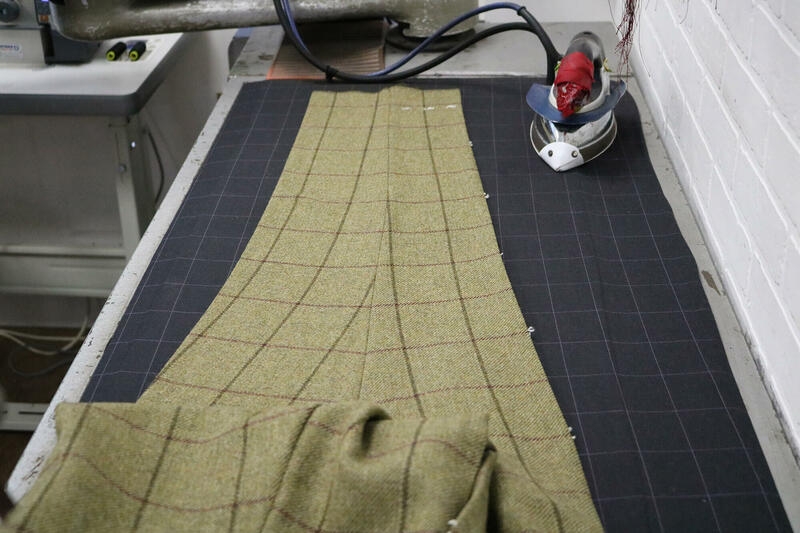 Through workshop demonstration and practice you will learn about the materials and processes involved, along with the construction and handling techniques that are necessary to become a successful bespoke tailor. Trainees will be expected to complete at least two three piece suits by the end of the course. The course is delivered on the premises of Desmond Merrion Bespoke Tailors in Rawdon Leeds. Desmond will only admit a maximum of four students per course which enables each trainee to receive a high degree of individual coaching. This is a full-time course Monday to Thursday 8am-2pm. Friday 8am-1pm. Students will also be allowed to use the workroom unsupervised until 3.30pm on evenings. A maximum of four students per year will only be admitted. Students are required to pay the entire course fee in full within one month of acceptance. In exceptional circumstances three or four payment instalments may be considered. Students who voluntarily withdraw from the course after fees are paid are not entitled to a refund. ADDITIONAL COSTS In addition to tuition fees you are very likely to incur additional costs such as travel expenses and the cost of materials. If you would like to be considered for this course, in the first instance please contact Mr Desmond Merrion des@dmerrion.com Following submission of your email enquiry, you may be scheduled for an interview. 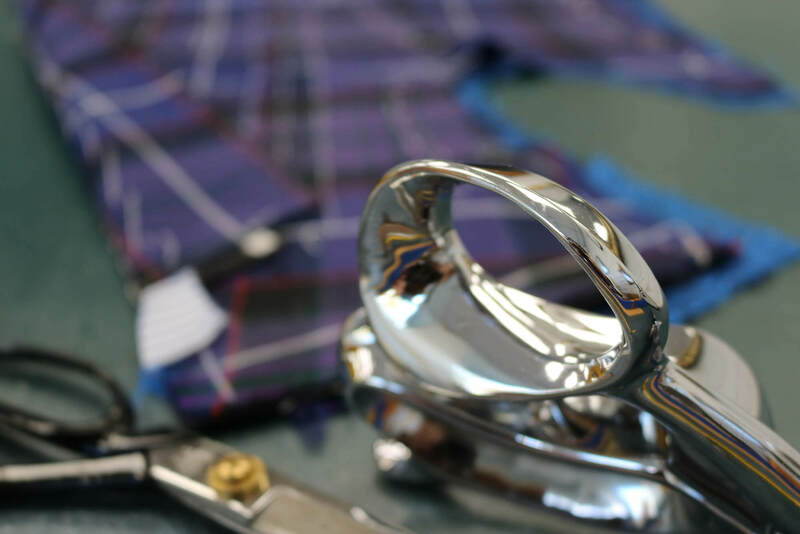 It is not essential to have previous experience in bespoke tailoring, but applicants must prove that they are fully committed to completing the course, at the required standards. Evidence of creative, cultural and tailoring interests. 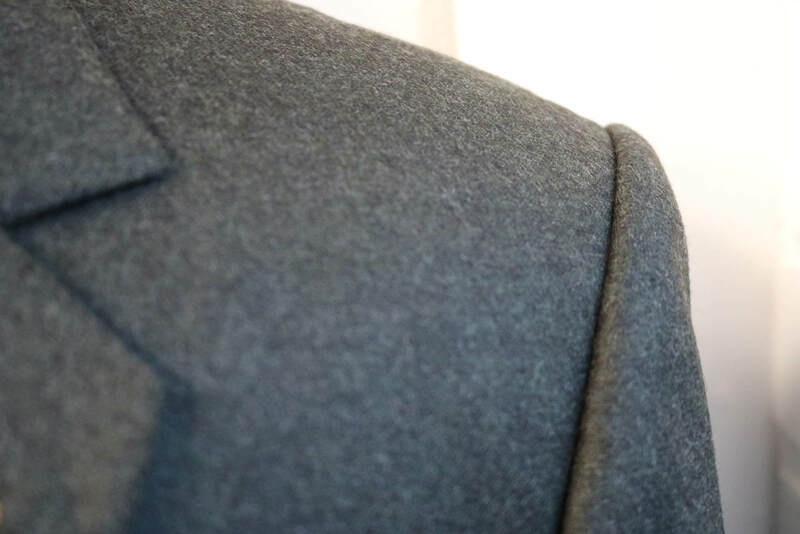 A potential to achieve a high standard of technical/fine tailoring. An ability to think three-dimensionally. An enquiring and analytical approach. An ability to communicate visually, verbally and through the written word. Desmond Merrion Bespoke Tailors are NOT licensed to issue student visas. However, non EU students that have the correct legal entitlement to stay in the UK may apply to attend the course. Non EU students wishing to attend our bespoke tailoring course, WILL NOT be offered a course place until they have provided a deposit of 25% (£3,000) of the course fee. 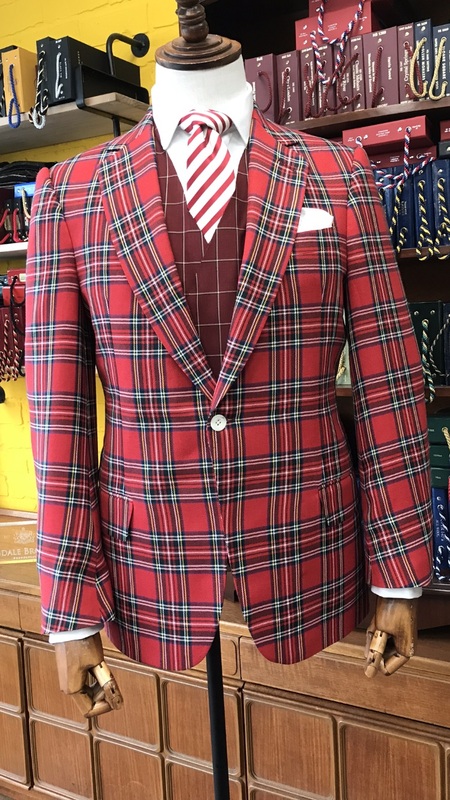 All the materials and trimmings (except cloth) required to make 2 three piece suits will be provided to all students. 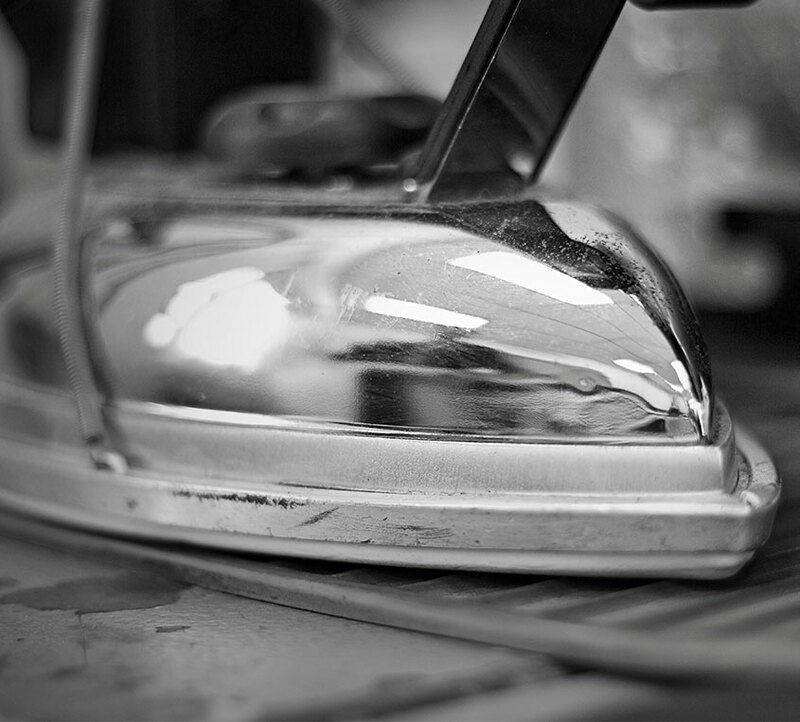 Full use of all industrial sewing machines, industrial irons and pressing tables are also provided. Accommodation for the duration of this bespoke tailoring course is NOT provided by Desmond Merrion Bespoke Tailors. Students are fully responsible for their own accommodation and living expenses for the duration of the bespoke tailoring course.